When Steve Ovett won the Olympic 800 metres in Moscow 1980, relegating the nation’s favourite boy-next-door Sebastian Coe, the world record holder to second place, Ovett complained that his victory was greeted by one British tabloid with the headline ‘THE BAD GUY WINS’. This substantial slight still rankled with Ovett when he cited it to me over 20 year later. * “Where did this bad guy come from,” he fulminated. “OK, I was slightly (read, very) unorthodox, but I thought I won enough races to make people appreciate that I was talented enough to be accepted”. The truth of the matter is that Ovett would not speak to the press, and this, trite as it seems, was Fleet Street’s revenge. No matter. Ovett had won. And he was also completely justified in his view that he should not be treated as an international villain. Gatlin, a twice banned drug cheat dumped on international hero Usain Bolt’s exit strategy, ie going out on a high at the IAAF World Championships, with a late race surge that not only consigned Bolt’s final individual race, the 100 metres to the status of ‘also-ran’ – the Jamaican was third – but also did considerable damage to the international federation’s attempts to expunge the spectre of doping from the sport of track and field athletics. Gatlin has complained that his first ban, as a late teenager for corrective medication could have happened to anyone in the US school system. His ban was reduced from two years to one. But, despite his protestations, there was little or no doubt about his four year ban imposed in 2006, following his Olympic and (previous) world championships victory, and a share of the world record with another (minor) drugs evictee and Jamaican predecessor to Bolt, Asafa Powell. No world class athlete has ever come back from what was the lengthiest drugs ban in history (originally eight years, reduced to four for Gatlin, but now back to two generally), to run better and faster; especially not at an advanced age. At 35, Gatlin is over four years older than Bolt, and no one over 30 has ever run anywhere near as fast as Gatlin. And controversy courted him at every step of his comeback. 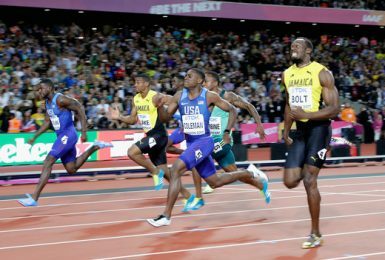 In 2015, the American beat Bolt on the European circuit, and seemed likely to do so again at that year’s World Championships in Beijing. But he succumbed to Bolt’s late race charge in what he admitted was fear of the Jamaican. But on the evidence of his repeated vilification by the crowd here in London for this championship, and elsewhere over the last few years, it seems that Gatlin has honed his latter-day resilience in the cockpit of public contempt. Last night in the London Olympic stadium, he and his young US colleague Christian Coleman did to Bolt what Bolt had done to Gatlin in Beijing. The 21 year old newcomer Coleman had finished just behind Gatlin in the US Championships just over a month ago, and Coleman led throughout the majority of last night’s 100 metres final. But Gatlin’s second half surge took him from around fifth at halfway to a last gasp narrow victory in 9.92sec, with Coleman on 9.94, and Bolt on 9.95. Mo Farah might disagree after his stunning performance on Day One of these championships, but all good things come to an end; and Bolt’s illustrious career hit the buffers in his final individual appearance, ultimately undone by his Achilles’ heel, his poor start. Yet his goes into retirement after the 4×100 metres relay in midweek as perhaps the most loved and respected track and field athlete in history. Six Olympic and seven world championships individual golds are testament to his talent on the track. But his vibrant personality and sense of fun has transcended and elevated a troubled sport and made him a celebrity on a par with Muhammed Ali. As for Gatlin, I cannot be the only person who has seen his absence from a large part of this summer season as reason for further suspicion. The same might well apply to the winner of the women’s 10,000 metres. When the women’s 25-lapper began with a ten-lap trudge, it looked like we might be back to the bad old days of Ethiopian hegemony being established with a 24-lap bore followed by a last lap burn-up. But Almaz Ayana, whose world record 10,000 metres runaway in Rio was the performance of the Games, was obviously ensuring that she was over an early season injury which meant she had not raced this season prior to last night. But once Ayana decided that all was well with the world and her injury, she charged into a lead, which was briefly contested by Jasemin Can of Turkey; following which Ayana went further and further away with every step. She was almost a minute behind her Rio time of 29.17.45, a result of the early lack of pace. 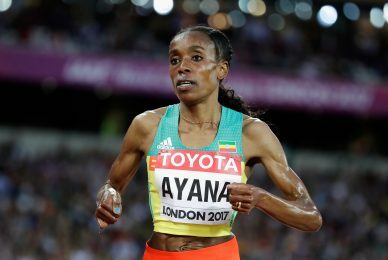 But in winning in 30min 16.32sec, the fastest of the year, Ayana had an unconscionable margin of victory, over 46 seconds! Her colleague, the multiple Olympic and world gold medallist Tirunesh Dibaba, one of the worst examples of the ‘head waitress’ syndrome put in her usual last lap burst to take silver in 31.02.69, ahead of bronze medallist Agnes Tirop of Kenya, 31.03.50. Can paid for her presumption in following Ayana, and could only finish a dispirited eleventh, well over a minute back. Inviting further controversy, the debate over Caster Semenya, and her once frowned upon hyperandrogenism will only intensify if she does as well in the 1500 metres final on Monday as she has in the 800 metres (world and double Olympic champion) since her case was put into quarantine by the Court of Arbitration for Sport (CAS). The South African has male characteristics which mean that she benefits from a surfeit of testosterone, which syndrome has in the past been subject to taking hormone suppressants.  Whatever the rights and wrongs of the case, which I and others have discussed widely elsewhere, Semenya ran her 1500 semi-final, her first international venture into the distance, in the same casual manner as she runs her two-lap races, suggesting that if she really let rip, the world records would go tumbling. It is a moot point as to whether she and her advisors are avoiding her superiority becoming too great in order to avoid even more scrutiny. She did just enough to finish third and qualify for the final behind Olympic champion Faith Kipyegon of Kenya and Britain’s double European indoor champion, Laura Muir, while the world record holder and defending champion Genzebe Dibaba of Ethiopia could only qualify as a fastest loser. The other favourite, Sifan Hassan of the Netherlands won the other semi. Incidentally, the IAAF has appealed to CAS over Semenya, and the case of her hyperandrogenism will be scrutinised again in Autumn. ← MORE OF THE SAME OR FALSE DAWN? Sebastian Coe’s willingness to promote the idea of Gatlin as the villain and Bolt as the anti-doping white knight is utterly irresponsible given his position. I won’t defend Gatlin for the testosterone positive, and the possibility of drugs continuing to help him even if he is not using is distressing, but for Coe to ignore the facts of his 2001 ban–Gatlin had been taking Adderall for years to treat his ADD and the tiny amount of amphetamines found in his sample made it clear that he had stopped for the last few days before competition, as he had been instructed to–is entirely unfair. The narrative of Gatlin as a two-time cheat is clearly a fabrication created in order to make him a better villain. More importantly, the way Coe and to some extent the British media have held up Bolt as a paragon of clean sport despite the fact that they themselves admit that current testing is not enough to catch everyone and that Bolt comes from a country with subpar testing and a history of athletes being caught–see Blake, Carter, Powell, etc–is totally irresponsible. Anti-doping can never work if world federations decide that a certain athlete is clean; it suggests that as a result of his greatness and fame, he may be above the law in the IAAF’s eyes, and that is not okay.